Even the $200 Power Armor Special Edition of Fallout 76 on PC features the controversial cardboard disc. People who purchased physical copies of Fallout 76 on PC have taken to social media to express disappointment over how the game comes with a cardboard disc rather than an actual, usable disc. 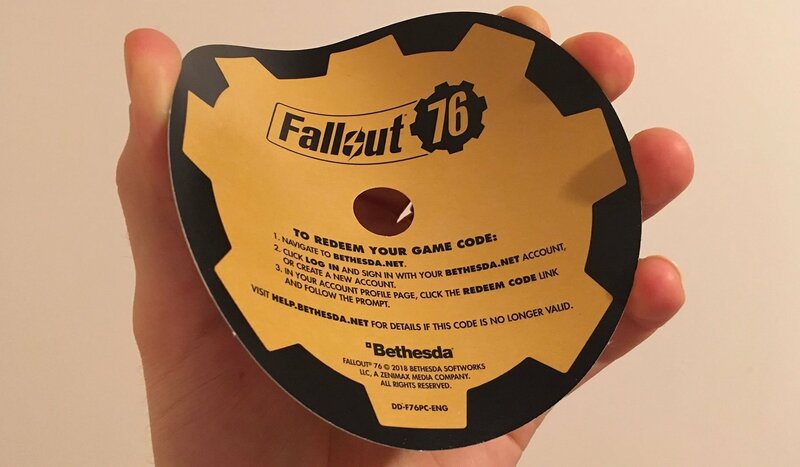 While a digital download for Fallout 76 on PC is printed on this cardboard disc, some are questioning whether or not a physical purchase is even worth it. Physical copies of Fallout 76 for PC ship with a cardboard disc. They go on to point out that if B.E.T.A. codes were emailed, why couldn’t a digital download be emailed? What’s more, it’s strange to think that a flimsy piece of cardboard is being included with the Power Armor Special Edition. After all, it was priced at a whopping $200. Furthermore, both the Xbox One and PlayStation 4 versions of the Power Armor Special Edition offer a legitimate disc, so why not the PC version? Even if you make the argument that nowadays, many physical copies of games on PC offer digital downloads in place of a disc, gamers who shelled out $200 on a Special Edition of Fallout 76 deserve better than cardboard. What do you think, should physical versions of Fallout 76 on PC include a physical disc? If not, do you think Bethesda should’ve emailed digital download codes to ensure buyers had a copy of the game on release? Let us know your thoughts down in the comments below!